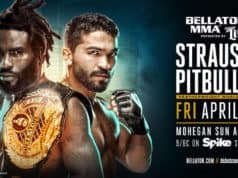 The Bellator cage touched down this evening in the Pechanga Resort & Casino in Temecula, California for Bellator 219. Lets take a look at some of the action. 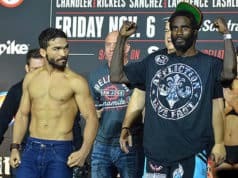 Former Bellator two-time featherweight champion Daniel Straus made his return to the cage after his well-documented motorcycle accident and subsequent rehab. He only needed 3:53 to find a home for a left hand that sent Shane Kruchten to the canvas. 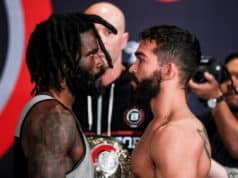 Straus would jump on his back and lock in a choke for the tap. The win completes an arduous comeback for Straus who was emotional in his post-fight interview with Big John. 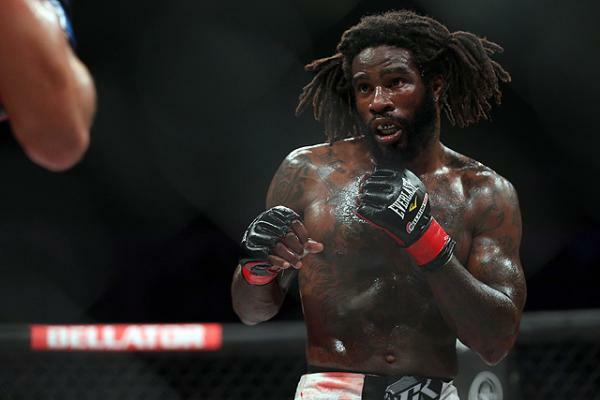 Straus will look to move back down to featherweight going forward.